Powerful and mighty, the newly released Guided Missile can devastate targets. Complete control right at your fingertips. Skilled players can take advantage of its range and maneuverability to get around cover and land the final blow on their opponent. This update delivers several highly requested quality-of-life improvements to Save the World such as the introduction of Combat Pro control scheme and removal of Energy from sprinting. 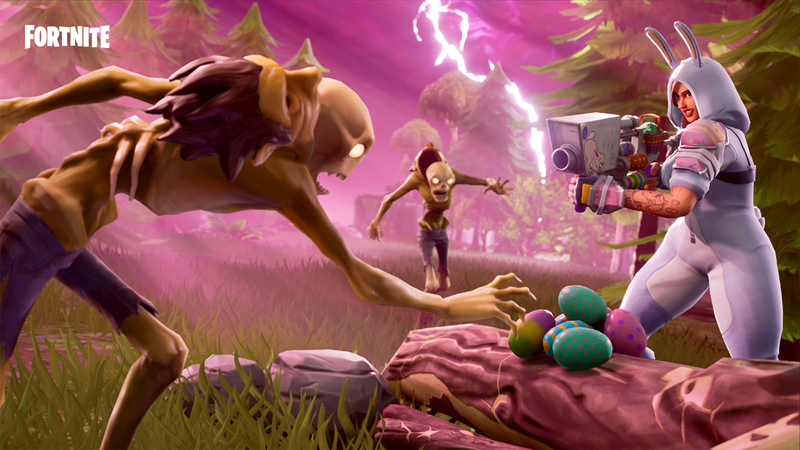 Hop around, you'll be sure to find lots of Easter Eggs… happy hunting! Take down forts with a more personal touch. Play ‘Peek-a-boo’ in Sniper Shootout v2. 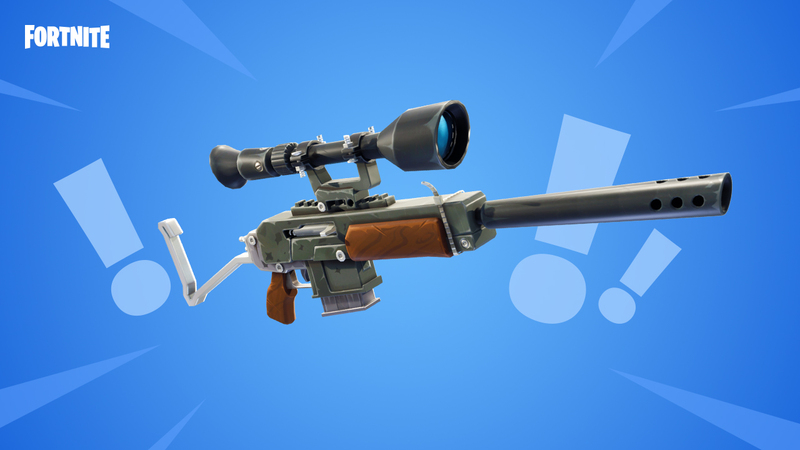 Hunting Rifle and Crossbow added, Revolver removed. Spring It On! comes to a close with an egg-streme Mini-Boss battle. These Heroes never have a bad hare day! You can now add, remove, and manage Epic Friends from the main menu. You can now send, receive, and respond to crossplay Party Invites. Party Finder now includes Epic Friends on other platforms. Enabled toggling of full screen mode with Alt + Enter on PC, and Option + Enter on Mac. Increased the brightness and visibility of ammo boxes. Fixed a rare bug where players could be launched up in the air after colliding with the world in tight spaces. Fixed the edit mode UI appearing over non-player built structures in some cases. Fixed other players not appearing to move smoothly while jumping. Fixed some keys on non-QWERTY keyboards becoming unbound after restarting. Fixed the Video Settings screen not updating properly after full screen mode is toggled. Take direct control of the missile after it's fired. Once you take on the missile's point-of-view, you’re unable to move your character. Disconnect from the missile at any time, in which the missile will continue its trajectory. Moves slightly slower than a regular rocket but does the same damage. Found in Treasure Chests + Supply Drops. Adjusted rarity colors on Shotguns to more closely represent their effectiveness. NOTE: Characteristics (such as weapon damage, drop chances) are completely unchanged. Tactical Shotguns are now Common/Uncommon/Rare (was Uncommon/Rare/Epic). Pump Shotguns are now Uncommon/Rare (was Common/Uncommon). The Egg Launcher has been added as a seasonal item that replaces the Grenade Launcher (only a cosmetic change). Increased Launch Pad drop rate by 25%. Issues with the Boogie Bomb are fixed and this item is now re-enabled. Fixed an issue which caused spike traps to trigger when a player stands on top of the wall the trap is attached to. Fixed an issue which prevented players from entering ADS mode upon landing when they hold the aim button while jumping. Fixed an issue which caused the Hunting Rifle to fire inaccurately when crouched or at close range. The Remote Explosives detonator is now correctly removed from your inventory if another player destroys your placed explosives and you have no more in your inventory. Fixed a bug where players could remain in sprint while using the Remote Explosive detonator but not play the detonator animation. Rearranged the order in which pieces fall off of player built structures as they are damaged. Increased the number of loot spawns on the warmup island. Removed 30 FPS mode from Xbox One and PS4. Fixed opened treasure chests sometimes appearing as unopened when viewed from very far distances. Fixed an issue which caused revived players to become stuck in an invalid state if a building piece was placed between the two players in the middle of the revive. Bullseyes will no longer appear after the challenge has been completed. Fixed an issue that caused other player’s headgear to appear to float above their heads. Fixed a rare issue that caused players to lose their ability to control their character after jumping from the bus. Fixed an issue that caused bushes and other environment objects to pop in and out of view at medium range. "We're sorry. Fortnite requires a device with 2GB of memory to run. Fortnite works with: iPhone SE, 6S, 6S Plus, 7, 7 Plus, 8, 8 Plus, X; iPad Mini 4, Air 2, 2017, Pro." Added new game data download system, which will allow us to make much smaller updates in the future. When you start up this new version of Fortnite, it will start downloading all the game data, which will be the full size (around 1.8GB). Antialiasing (4x MSAA) is now enabled on all supported devices. Whispers and Party Text Chat are now enabled on mobile. Added a quick tutorial for ‘Tap to Swing’ which appears upon first startup. Added a message informing players that jailbroken devices are not supported. Auto-opening of doors is now based on input instead of your player’s current speed. Continuously attacking with the Harvesting Tool is now more consistent when double tapping and holding the right side of screen. The left fire button is now more reliable and responsive. Opening treasure chests now feels more responsive. Fixed various inconsistencies with tap to shoot, making it more accurate. Fixed the minimap blocking movement and look input. Fixed an issue which caused misfiring when single tapping the screen and interacting with the HUD. Fixed some issues causing Tap, Tap + Hold actions to not register. Fixed longer than expected loading times on iPhone X. Fixed a crash that could occur when tapping the Epic Friends list rapidly. Fixed Impulse Grenade effects not being visible enough on Low settings. Turbo Building and Automatic Material Swapping settings now save correctly. Weapon and consumables dropped can no longer be auto-picked up by the dropping player. Major netcode optimizations to reduce lag. Improved game responsiveness by updating all players on the server every frame. Previously, only 50 players could be updated each frame. Reduced lag at the beginning of the match by optimizing networking to improve overall server frame rate. Made significant improvements to visual quality on consoles, including resolution improvements and texture sharpness improvements. Improved texture filtering sharpness on PS4 and Xbox One. Increased texture resolution on Xbox One. Improved frame rate when many other players are nearby. Fixed hitching that could occur in game when encountering certain cosmetic items for the first time. Party Suggestions for your Epic Friends now appear in the lobby on consoles. Added a zoom feature to the map. Gamepad - Right trigger zooms in, left trigger zooms out. Touch - Pinch to zoom, swipe to pan. The elimination feed now displays the distance for shots that knock down or eliminate other players beyond 50 meters for all weapons. Fixed an issue which caused downed squad mates to appear eliminated on the UI. Fixed an issue that prevented marker placement on the map if the map was opened while transitioning from the warmup island to the Battle Bus. Fixed an issue that prevented players from placing minimap markers close to the edge of the island. Game Mode selector will no longer reset to ‘Squads’ when a new party member joins while another mode was selected. Fixed an issue which caused the ping value to be inaccurate when ‘Show Net Stats’ was enabled. When using the inverted controls option, the mouse cursor will no longer be inverted while the map is open. Bullet smoke trails are more detailed for rifles and pistols, making it slightly easier to determine the direction of shots fired across your view. Sniper rifle projectiles that hit the world have larger, more visible impact effects. Shotgun pellet trails and player hit effects have been adjusted to more clearly show the spread of each shot and make it easier to see how much of it hit an enemy. Suppressed weapons have a much more subtle muzzle flash and no longer show bullet smoke trails. Pump Shotgun and Hand Cannon fire animations have been polished, improving readability and snappiness. Fixed the glow effect on some chests that were glowing white. Fixed an issue which caused the crossbow reload animation to play in situations where it wasn’t actually reloading. Removed the chirp sound from landing Supply Drops. Added hit notification sounds when the player you’re spectating lands a shield, body, or headshot hit. The tire pile bounce sound will now play while spectating players. Crossbow bolts no longer play valentine sound effects when hitting players. Search sound effects now persists for the full duration when searching Loot Llamas. Fixed an issue that made player landing sounds difficult to hear if footstep audio was also playing. Combat Pro is now an available control scheme option (more details here). Sprinting no longer costs Energy. Dying & resurrection no longer reduces the durability of your equipped weapons. Container search speed has been increased. Players no longer take fall damage on the Hoverboard when landing on a Speed Boost Pad. Crafting Ingredients stack limit increased from 99 to 200. Increased Trap stack limit from 20 to 200. Buff pylons now last the duration of the match. Players can now mount the Hoverboard while moving. Players can now fall further before taking damage while on the Hoverboard. Special Spring-themed Trojan Bunny mission. The first Upgrade Llama purchase is now free. All players who have already completed the Loot Llamas tutorial will also receive a free Upgrade Llama. This change was made to address the issue where some players were unable to progress through the Loot Llamas tutorial if they spent V-Bucks to make a Battle Royale purchase before completing the tutorial. Upgrade Llamas and other activities can now provide players with ‘Deep Choices’. NOTE: This only applies to normal Llamas, not event Llamas. A deep choice event will allow players a second choice after they make their first choice from a card. Ranged Weapon Schematic, Melee Weapon Schematic, Trap Schematic, Hero. Doubled appearance rate of the Troll Stash Llama. Troll Stash now guarantees at least one Epic schematic, one Legendary schematic, and one Epic or Legendary survivor (of any type). (Example) Drops of Rain in Stonewood. All missions in the game will now award some amount of XP across all Commander Levels. Thus, players will now never encounter a mission that ceases to award XP altogether as you play down-level. XP rewards have been made more generous when playing down-level. At their lowest rate, players will receive 30% of their normal XP rewards. Increased number of Firecracker Tickets received by completing Group Mission Alerts from 60-150 to 100-240 (scaled based on zone difficulty). Going forward, events that feature Mutant Storm and Mini-Boss Mission Alerts will reward 100-240 tickets as well. Refocused Mini-Boss Mission Alerts towards Transform Keys and high-rarity items. Greatly increased the chance for Transform Keys to appear. Massively increased chance for higher rarity items to appear. (Example) In Twine Peaks, Legendary Transform Keys have a 15% chance to be chosen as an alert reward, up from a 1% chance. Slightly increased V-bucks on Mini-Boss Mission Alerts. Increased Mini Llamas awarded from 1 to 2 in Plankerton and higher. Moderately reduced the chance for Mini-Boss Mission Alerts to choose evolution materials as the extra reward (those are increased on Mutant Storms instead). Reduced the chance for Mini-Boss Mission Alerts to choose XP as the extra reward. Removed crafting ingredients from the reward list. Removed various items that were too low-rarity for their area. (Example) No Rare Survivors in Twine Peaks. Canny Valley and Twine Peaks Mission Reward Boost. Canny: Starts at +8.4% and increases with difficulty to a maximum of +25%. Refined resource piles like of piles of wood, metal beams, etc. now properly scale the amount of wood/stone/metal they drop based on their size. Corrected an issue which could cause players to be able to use triangle walls that were inverted from the pattern that Build-the-Radar displays as required. Fixed an issue where some traps weren't granting score when activated. Jump Pads, Defender Post, and Boost Pad world drops now drop in later zones. Fixed issue with Wall Launcher Trap not triggering when a tier 3 wooden floor was placed next to it. Fixed spelling error in the Creature Features Quest description. Survivor on top of the vehicle is invulnerable once again, until the vehicle is destroyed. Fixed Fight the Storm missions awarding the participation badge twice on mission failure. Remote Explosives have been added! Go and blow something up… remotely. Use fire to place an explosive, alt-fire to detonate all the ones you have placed. They can blow up structures (aside from the ones your team has built) in addition to enemies. NOTE: They cannot hurt objectives. They can also detonate when they take damage from weapons. These are found in the world, and do not persist past the end of the mission. Boost Pad crafting cost should now be comparable to other Movement Pads. Melee & Ranged Critical Chance Perks increased from 9% to 15%. Melee & Ranged Critical Damage Perks increased from 24% to 54%. Ranged Clip Size Perk increased from 20% to 30%. Ammo Save Size Perk increased from 12% to 23%. Defender Health,Shield & Shield Regen increased from 20% to 24%. Melee Weapon Damage perk increased from 10% to 12%. Assault , Pistols, Shotguns, Snipers, Axes, Hammers, Clubs , Scythes, Spears, Swords. Significantly increased Defenders' accuracy and standardized Defender firing rates for all ranged weapons. Corrected an issue which could cause the Flame Grill trap to deal less damage than intended at higher evolutions. 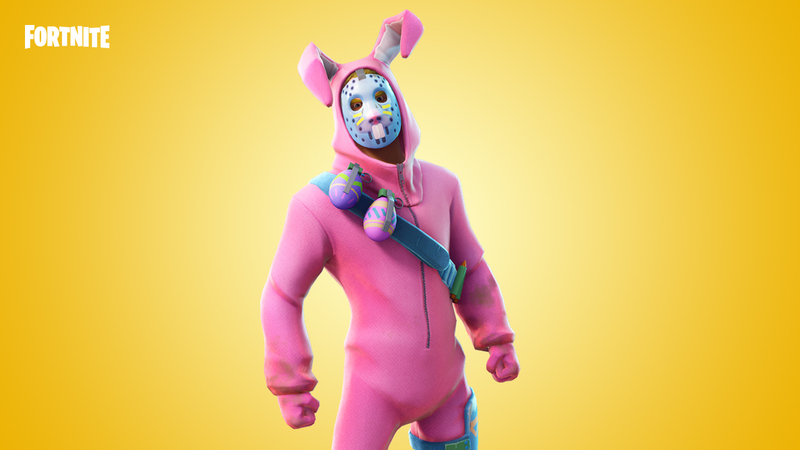 Rabbit Raider Jonesy, Legendary reskin of the Soldier’s Raider subclass, has been added to the Event Store. Miss Bunny Penny, Legendary reskin of the Constructor’s Plasma Specialist subclass, can be acquired by completing the Spring It On! Questline. ‘Mantis Leap’s’ Energy Cost has been reduced from 50 to 20. As part of removing the Energy requirement for sprint, we have removed the ‘Phasic Energy’ perk. Outlanders with ‘Phasic Energy’ have had that perk replaced with a different ‘Phase Shift’ Perk. Phase Scout Jess's level 12 perk, ‘Phasic Energy’, has been replaced with ‘Phase Shield’. ‘Phase Shield’: ‘Phase Shift’ forces the shield to regenerate for 4 seconds. Your shield will regenerate even if you continue to take damage, but it will only regenerate at 20% of the regular rate. Shamrock Outlander’s level 15 perk, ‘Phasic Energy’, has been replaced with ‘Phase Runner’. ‘Phase Runner’ increases movement speed by 25% for 4 seconds after using ‘Phase Shift’. ‘Recycling’ will now take into account the level of the buildings near BASE. Level 1 buildings are worth 1 building piece. Level 2 buildings are worth 3 building pieces. Level 3 buildings are worth 6 building pieces. ‘Recycling’ now requires 3 building pieces of the same material (reduced from 5) to generate 1 of the appropriate resource. ‘Hyperthreading’ now improves ‘Recycling’ to only need 2 building pieces of the same material (reduced from 3) to generate 1 of the appropriate resource. Hat and Backpack are now added to the Shamrock Reclaimer. Hat is added at star level 2. Backpack is added at star level 3. Corrected an issue which could cause Corrosive Blade’s damage to cap at 10,000. This damage is now scaling as intended. Corrected an issue which could cause the ‘Corrosion’ tactical perk’s damage to cap at 10,000. This damage is now scaling as intended. Corrected an issue which could cause the ‘Boomstick!’ perk of ‘Goin' Commando!’ to have incorrect effects. Energy effects should now always cover the gun as intended. Fixed an issue that caused Ninja’s ‘Throwing Stars’ to not do damage at close range. Fixed an issue that gave the Rare version of the Lunar Constructor and Outlander heroes level 25 and 30 perks. Fixed issue causing the vulnerability icon from ‘Debilitating Shots’ to reappear on enemies that no longer have the effect. Fixed an issue with the ‘Hammer Critical Chance’ perk for Constructors not working with the Dragon’s Fist hammer. Epic Sarah Claus now has the correct ‘Medical Fumes’ perk at level 12 instead of ‘Dragon Daze’. Fixed an issue with ‘Tail of the Dragon’ dealing less damage on the first instance of damage. Fixed issue with the ‘Recycling perk’ of the Constructor’s BASE, where it could reward Wood, even when there were no Wood pieces in range of BASE. Fixed an issue where the maximum amount of resources collected per minute was not being displayed in the ‘Recycling’ perk’s tooltip. Smoke Bomb now correctly spawns in the location that it explodes instead of on the player’s location. The projectile no longer adds player velocity while being thrown. Smoke screen effects only happen to players when they are within the AOE volume. Removed window buttons from Defender Post's Ammo Count panel. Changed Skill tree tooltip in the bonus section of Supply Drop, the text should read "Contains at least 1" instead of "Get extra 1". Updated animations on the main tabs. Quantities of stacked items are now abbreviated with 'k' when over 1000. Fixed a crash that could occur when adding friends after a match. Fixed an issue that caused Hero stats in the ‘All Stats Page’ to appear as 0%. Improved controller navigation for the skill description panel on the Skill Tree. Corrected an issue which could cause the rarity color displayed on the 15% Trap Damage perk to be gold instead of blue. Removed ‘more’ action from backpack and storage screens. This option wasn't available on gamepad and hasn't been designed for these screens. Fixed some cases where stackable items might not be added to the largest available partial stack. Changed the Dragon's Might firing animations to have less aggressive recoil. Added new UI sounds to the Collection Book, Storage Locker and Skill Tree purchases.